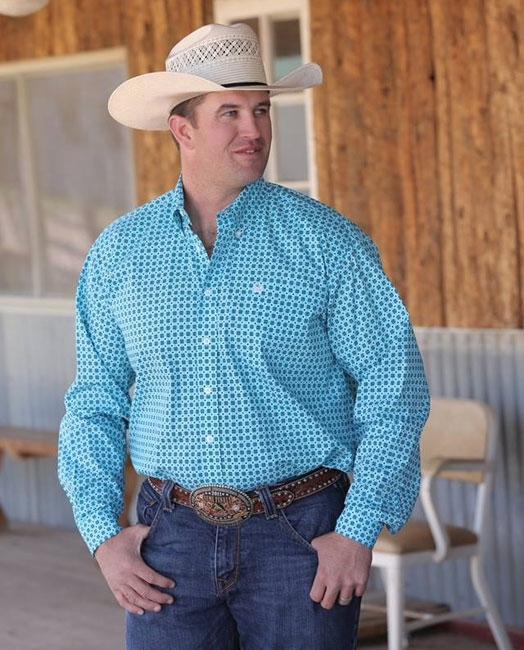 Mens Cinch® Long Sleeve Blue Diamond Shirt. The rows of black diamonds alternate between being framed by a white diamond and being framed with a scalloped square. Classic Fit.